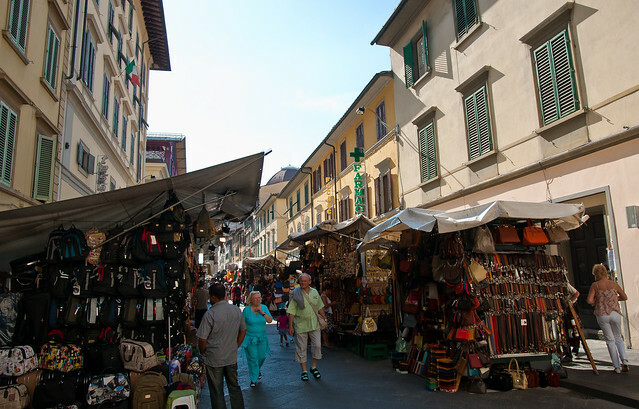 We understand that shopping fundamentally flies in the face of our Florence for Free mantra, but you’d miss a major part of Italian culture if you didn’t explore the country’s many open-air markets! Brimming with charming antiques, fresh fruits, and homemade soaps, each bazaar is a feast for the senses. Of course, buying something is not a requirement – but if you can’t resist a souvenir, we completely understand. Chances are you’ll stumble across one of these markets during a leisurely stroll, but if you’re actively seeking a dose of delightful Italian gems, we’ve got a list here that covers almost every Florentine neighborhood. Local produce, meats, and wines from the hills of Tuscany. Need we say more? If you’ve hiked up to this charming hill town or simply hopped the #7 bus, you’ll understand that this picturesque piazza is perfect for hosting an open-air market. Favorite Italian goods – think scarves and purses – at downtown prices. We also think it’s a great place to wait out a rainstorm. *Attention: This market has been indefinitely moved from Piazza San Lorenzo. Some vendors are still open in or have moved to Piazza del Mercato Centrale. The Florentine provides more information. Arguably Florence’s most famous market. The aisles are filled with salesmen hawking their wares and begging for you to haggle with them. Try as you might to ignore their whistles, the leather goods spilling from their stalls make it difficult to pass through without a trinket or two. How to improve upon a beautiful city square with gourmet cafes and a merry-go-round? Line it with rows of vibrant flowers! Scoop up a dozen to brighten up you next dinner party. “As your eyes draw you to the pastries, your nose begs you to sample the spices, and your ears ask to find out what the butcher is shouting about.” Are you hooked yet? Hannah offers the best way to eat for “free” at Florence’s most official food market. The mother of all food markets. Both indoor and outdoor, everything from local produce to gourmet meats and cheeses are up for sale. One of the harder fairs to browse without buying something – don’t say we didn’t warn you! Vintage junkies, take note: crystal chandeliers, collections of foreign coins, and old maps are only some of the treasures you’ll discover while digging for hand-carved cameos at this visually inspiring fair. Your third chance this month to add a little antique flair to your home or wardrobe. A flea and farmers’ market rolled into one. Make sure to enjoy the park after exploring the seemingly endless rows of stalls. It’s the perfect way to walk off the Florentine street-food you might’ve just enjoyed. We’ve already mentioned that this piazza is our favorite place to people watch, and all types of lovable characters come out for this monthly event. It’s also a good spot to purchase gently used furniture for your Italian flat. The famous fierucola (see below) teams up with local artists to give customers one-stop shopping for all artisan goods. It’s held in an adorable old convent that aims to be “the heart of artistic crafts in Florence ” – the thought of which makes our hearts skip a beat. 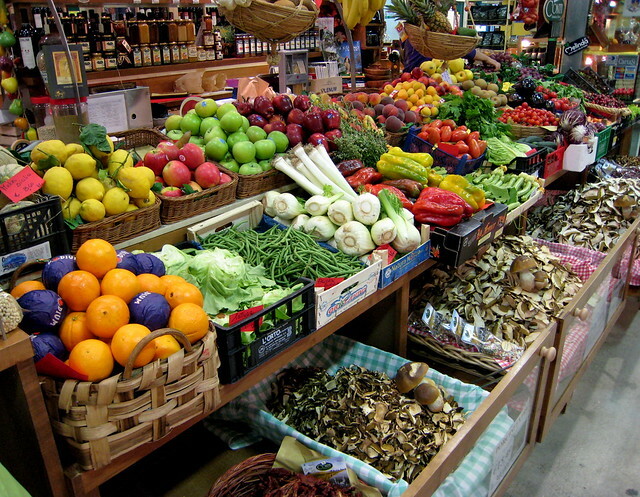 A market fit for foodies! Fierucola roughly translates to “organic,” so you can expect to find the best of the local harvest here. Think rows of artisan vendors offering tastes of homemade honey, fresh veggies, specialty cheeses, and other finely crafted goods. …This list gives new meaning to “shop til you drop,” don’t you think? Hey, it never hurt to have just a little look-see, so feel free explore some of the best products that Florence has to offer, ladies and gents! And maybe bring a shopping list – just in case. Thanks for compiling such a useful guide! 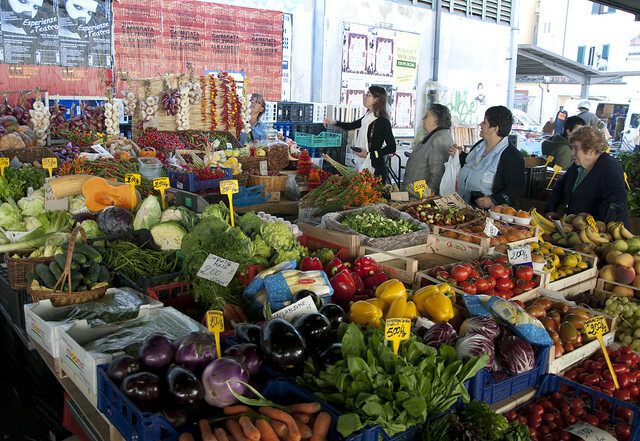 I can’t wait to go explore more of the fantastic markets in Florence. you are so welcome emily! we’re psyched you’re following along. hi lisa! although we’re having a tough time finding an official ciompi market calendar, we would say it’s safe to assume the last sunday (june 30) of the month – even if it’s the 5th sunday – is the day it would be open. this website also has it listed as june 30, with contact info for the comune di firenze, so we’re thinking it is a safe bet: http://firenze.virgilio.it/eventi/mercato-di-piazza-dei-ciompi_495718_6. of course, we don’t want to tell you we’re sure, as anything is possible in italy. but the antiques area is also open monday thru saturday, so we hope there are some windows where you’ll be able to take a stroll through the aisles. we hope this helped! we have been (and we’ll keep!) poking around, but unfortunately we can’t find any in tuscany that are definitively the fourth sunday of every month. we found some conflicting information that there could be one that day in cortona (which is about 60-90 minutes away). we’ll keep hunting! Hannah, Hi, it’s Terri, your neighbor across the street from your parents. We had been back from our trip to Italy when your dad told me about your blog—sorry I didn’t know aboout it before I went to Italy. I thought perhas you would be able to answer this question. In the square close to the apartment in which we stayed (can’t remember the name), within the circle there is a statue that appears to be a woman with a horizontal block (or man?) on her head! Do you by any chance know what the represents. We could never find out. hi terri! thanks for checking it out our blog per my dad’s rec! sounds like you stayed in the porta romano (which must have been awesome). as for the statue all i know is that it is a modern piece (around 1940’s i think) by an artist named pistoletto. admittedly modern art is not my forte so i am just as hard pressed as you to figure out what is happening here! sorry i couldn’t be more help! hope all is well in the neighborhood and see you around soon! I am loving your blog and it is extremely useful for helping to plan my upcoming trip to Italy, which will include some time in Florence! Thank you! !